Humans have attempted to harness wind energy for thousands of years. As early as 900 BC, the Persians used wind power to grind grain. In recent years, as the climate change crisis has made us question our reliance on fossil fuels, wind energy has made a comeback. There is fierce debate over the truth about wind turbines. Are they efficient? Can they replace fossil fuels? Will they damage the environment? Keep reading to learn answers to these and other questions. Wind occurs when there is a movement of air from high-pressure areas to lower-pressure areas. Asymmetrical heating of the planet causes these high and low-pressure areas to form. Due to the tilt of the planet, some parts of the earth receive more direct sunlight than other parts. Since it’s fairly safe to assume the planet will always spin on its axis, it’s also fairly safe to assume that wind will always occur across the planet. How is Wind Energy Captured? Wind turbines capture wind energy. A wind turbine is a modern version of a windmill. It’s a large structure that supports fan blades high off the surface of the earth. the blades are positioned perpendicular to air flow. As the wind blows, the air forces the blades to turn. The turning of the blades activates a generator and creates electricity. This electricity is then transferred back to the grid for use in homes and businesses. Wind energy is a cheaper alternative for consumers than other sources of electricity available. The electricity harnessed from the wind costs between $0.02-$0.06 USD per kilowatt-hour. Wind energy is not subject to price uncertainty because there is no issue mining/drilling/fracking for it. The supply is constant. This means that even when the cost of gas or oil increases due to global markets, the price of electricity from wind energy will stay the same. The wind sector employed more than 100,000 workers in 2016 in the United States alone. The Department of Energy’s Wind Energy Technologies Office reports that the wind energy sector will support over 600,000 jobs by 2050. This means that in the span of 34 years, the wind energy sector will have created 500,000 new jobs. Wind energy does not pollute the air. Unlike power plants, which burn fossil fuels that give off unhealthy chemicals into our air, wind turbines produce zero atmospheric emissions. With no atmospheric emission, we can reduce incidences of acid rain, greenhouse gases that deplete ozone, smog in cities, and human health issues from breathing unhealthy air. By reducing our reliance on foreign fossil fuels, we reduce our reliance on global fluctuations. This means that when war erupts in Saudi Arabia and supply lines are interrupted, the United States will not be forced to pay higher prices or be limited by supply. The wind blows as a result of the uneven heating of the planet. If you think about it, wind power is actually a form of solar power. As long as the sun exists and the earth rotates, wind power can be harnessed as a form of energy. The cost of building wind farms and linking those wind farms to the grid is an investment. The infrastructure already exists for fossil-fueled generators, but not for wind energy. This makes the initial start-up cost of wind energy much higher. The best sites to build a wind farm are far from cities where large buildings block or interrupt air flow. This means that most wind farms need to be built in remote locations and transmission lines have to be installed to bring the electricity to far away cities. Since cities are home to most businesses, like this service, that consume the bulk of the electricity in the country, it may cause issues to have the source of power so far away from the consumption of power. Large swaths of land must be devoted to wind energy in order to build wind farms. For some landowners, a wind farm is not the most profitable use of land. Private landowners can turn a higher profit by using the land for other uses. This limits the amount of land available for wind farms. Local communities may not want wind farms built near them for aesthetic reasons. Communities may also fear noise pollution caused by wind turbines, or an impact on local wildlife. The wind energy sector will have to work to overcome these negative perceptions. Like in all industries, it is a cost-benefit analysis that informs our decisions. 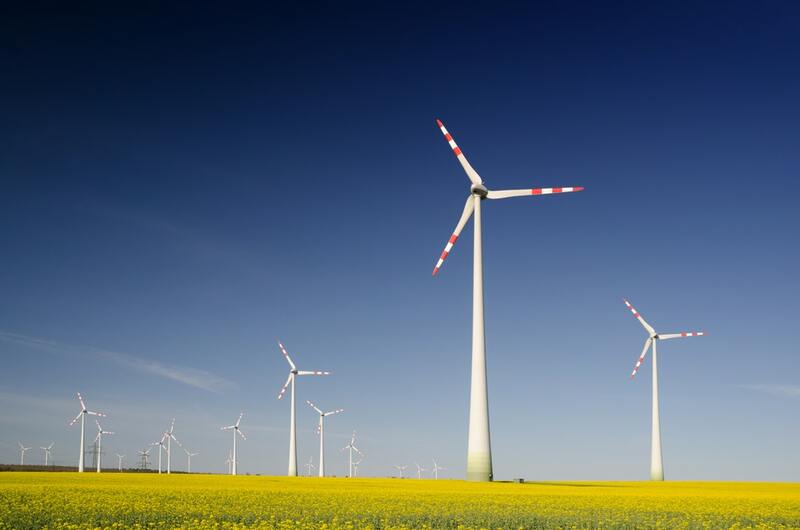 Whatever negative perceptions or perceived inadequacies exist in the wind energy sector, they are heavily outweighed by the benefits of wind energy. The debate about whether wind power is efficient should be put to rest. Not only are turbines more efficient, but they are also cleaner, more reliable, more sustainable, and cause fewer human and wildlife health and safety issues. The truth about wind turbines is that they are the fuel of the future. We need to invest in our future and help save our planet but advocating for wind power and other green energies. Looking for other ways to save the planet? Check out these 9 ways to make an impact.